As we move into the final days of financial literacy month, Ohio Congresswoman Joyce Beatty introduced legislation that aims to empower homebuyers with knowledge and put money in their pockets. The Housing Financial Literacy Act of 2015 would give first-time homebuyers a 25 basis point discount (0.25%) on their Federal Housing Administration (FHA) mortgage insurance premium once they complete a Department of Housing and Urban Development (HUD) certified housing counseling course. “I am thrilled to continue my commitment to financial literacy, especially as we recognize Financial Literacy Month, by introducing the Housing Financial Literacy Act of 2015,â€ says Rep. Beatty. “My legislation would motivate first-time homebuyers to seek vital pre-purchase housing counseling to alleviate the confusion and fears associated with purchasing real estate.Â These housing counseling programs help prospective homebuyers understand their financing and down-payment options, evaluate their readiness for a home purchase and navigate what sometimes may be a confusing and difficult process,â€ she adds. Homeownership is one of the most effective ways to pass on wealth to future generations.Â For Blacks, the task of wealth creation through real estate has been difficult.Â According to the Census Bureau, in the 4th quarter of 2014, the homeownership rate for non-Hispanic White households was 72.3%.Â For Blacks it was 42.1%. 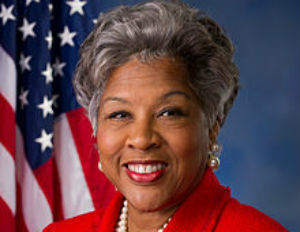 In addition to making homeownership more affordable, Beatty also says the bill would help people keep up with their mortgage payments:Â “Studies have shown that homebuyers who receive pre-purchase housing counseling courses are nearly one-third less likely to fall behind on their mortgage, and that housing counseling can improve prospective borrowers’ access to affordable, prudent mortgage loans,â€ she said when introducing the bill on the house floor. Original co-sponsors of this legislation include Congressman Ruben Hinojosa of Texas, and Â Congressman Steve Stivers of Ohio,Â the respective Democratic and Republican Co-Chairs of the Financial Literacy Caucus.